“I cycled the 190 miles coast to coast in mid August this year with a friend. 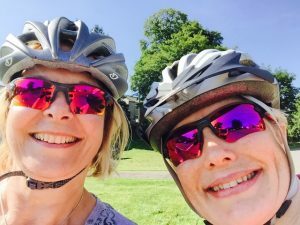 We are two ladies in our late fifties and wanted to do something for charity and experience a real challenge. We haven’t really done any long distance cycling before – other than use our bikes very occasionally for a short bike ride or for going to the shops! Late on in training I realised that I needed to upgrade my saddle. In fact I already had tried two saddles – both were gel types. One was generously proportioned and came with the bike which I have owned for 5 years. I felt that once seated I seemed to sit “in” the gel saddle rather than on it. This restricted movement greatly and led to numbness within a few minutes of riding. So despite looking comfortable and although the numbness hid the pain … as soon as you dismounted it was a painful experience as the numbness started to immediately wear off. I had a similar experience with gel saddle number two … one borrowed off a friend’s Raleigh bike which she didn’t use anymore. There was a slight improvement – my derrière went numb after a longer distance – but only about 2 miles up the road! Still a painful experience! So I decided I needed something completely different … certainly not a gel saddle. I would be riding between 25 to 30 miles a day on the coast to coast which I was doing with a friend for our own personal charities. We got up to 40 miles a day in training but I had not tried to do two consecutive days because I needed to “recover” each time because of saddle soreness! So I was quite worried how I would fair on the charity ride itself. Day after day on the bike – not a prospect I was looking forward to I must say. 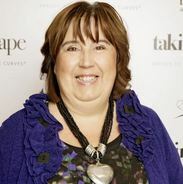 I had resigned myself to tough it out and grit my teeth – all for a good cause. Research on the Internet led me to your product and I was impressed by the reviews. I acquired one a few weeks before the event and tried it out in training. At first it felt different and a bit awkward. But when I realised that I could shift my weight in the saddle whenever I wanted to. It made a huge difference in the training and on the rode itself. It gave me a sense of freedom and control. With regards to the event itself -climbing the Cumbrian hills the first day was a big culture shock , we were wiped out and exhausted and although I had a bit of a tender backside after day one I didn’t dread getting on the bike the next day. The ride and my saddle experience got better and better over the next six days and I ended the journey with no saddle soreness! I think this is because the saddle gives you a lot of freedom to shift about and perch on your sit bones allowing surrounding tissues to breathe and not go numb. I particularly liked the “cut out” near the coccyx area as this meant I had no pressure there and I have had problems with this area in the past. I damaged it a few years ago when I cycled off a kerbstone and forgot to rise up in the saddle and it took such a long time to repair itself that I am very cautious about damaging it again. 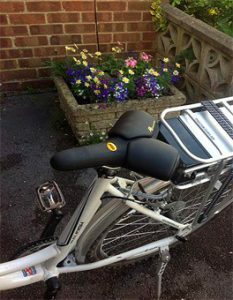 “Hi, I have been finding it difficult ( and for the last couple of years almost impossible ) to ride my bike as a result of seating discomfort related to coccyx pain and prostatitis. I was beginning to think that my cycling days were finished. However, after trying a variety of saddles and further in depth research, I came across your product. I decided it was worth one more attempt and ordered my Special Edition R2 without a great deal of hope. Once attached to my Dawes Discovery hybrid, I was surprised to find that I could ride up to 15 miles without any major long term effects so I continued to do this for a few weeks to make sure I wasn’t just have a few “good days”. Although I have had my current bike for 18 years, the 59cm frame is really too big. Now that I have the most comfortable saddle I’ve ever had, I decided that I needed to put the correct size frame beneath it! 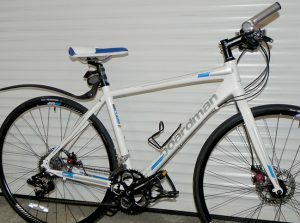 As you can see, the Special Edition R2 looks great on my new Boardman hybrid and the ride is superb. 23 miles on the first outing and no sign of discomfort. 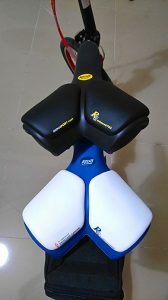 “The R2 saddle arrived two weeks ago. I have been making minor adjustments to it and it is gradually getting settled in. You were correct in advising that the saddle would need to be lowered, this certainly makes a difference. It does take the pressure of the sensitive bits. I found your web site while looking for connection between Prostate issues and cycling and was looking for a saddle that might assist with this. I will be interested to see if the saddle does in fact have an impact on this. Time will tell. Cheers and thanks for the service. “The saddle has been great. It took a little time to get used to it, but now it does really take some of the pains out of cycling. During and afterwards. It looks a bit different and gets some comments but benefits outweigh occasional odd look. I would certainly recommend the saddle for men of all ages. You shouldn’t wait till you’ve experienced discomfort or serious illness before you consider using it. “Dear Rido, My new saddle is wonderful! As a person without too much natural padding I had found other saddles very uncomfortable and had got to the point where I was seriously considering putting my cycle up for sale. “Hi, After getting the correct adjustment of the saddle that suits my cycling style…”Wow” I can not ask for more, I completely felt so relaxed on all my rides, no more perenial numbness. 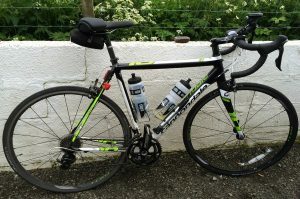 “I rode with a group of 18, most of us were from Australia, for charity (guysgoride on Facebook) from Lands End to John o’Groats in June 2015 and used the supplied saddle for the first day then changed to my Rido R2 for comparison. Wow what a difference – no saddle soreness for the rest of the journey so have recommended this saddle to many others since. “Getting there I think, took a bit more getting used to than I thought it would. I spent a lot of time in the first few rides hopping off for adjustments. My problem was I kept moving forward off the ‘humps’, but I think I’ve found the sweet spot now. Did a 40-mile circuit last weekend without any problems and with far, far less discomfort than before! “Good afternoon lovely RIDO people!